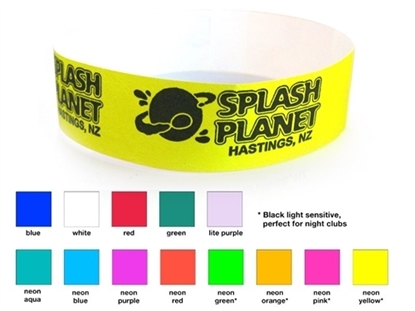 3/4" Tyvek Event Wristbands are perfect for admissions, ticketing, special events and more! High quality. Self adhesive Tyvek, sequentially numbered, non-reusable, tamper proof, tear resistant and waterproof. 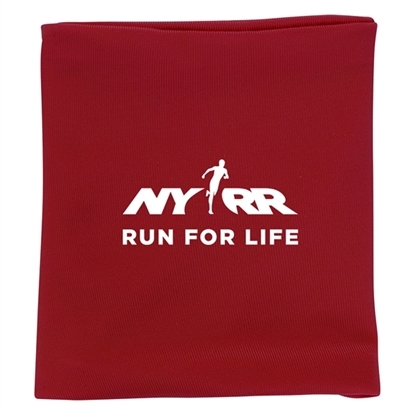 The Reflective Snap Band has single color printing in an assortment of colors. Easily snaps onto wrist, arm or ankle. One size fits all. 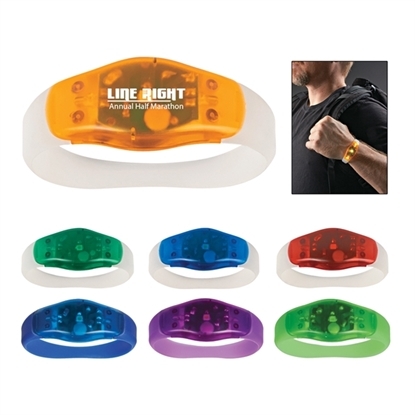 Ideal for safety programs and outdoor events. Fun way to Promote! 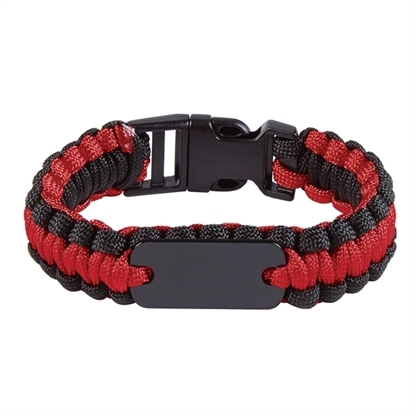 Use this single color bracelet to help spread awareness! 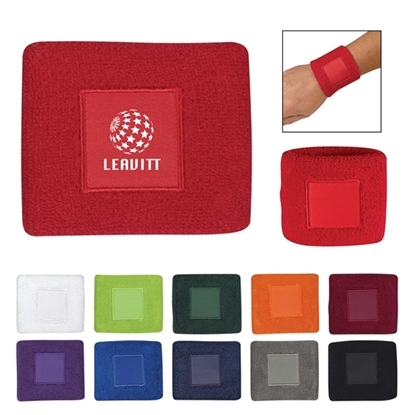 Perfect for trade shows, fundraisers and other promotional events, your customers will be happy to wear this colorful souvenir in support of your cause. It has an approximate size of 8". One size fits most. 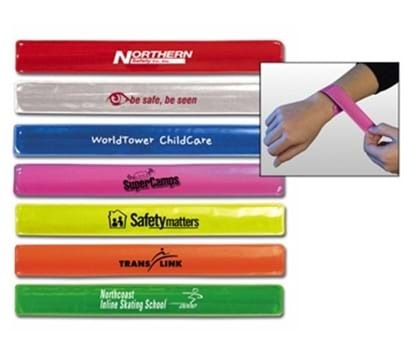 Available in a variety of colors to choose from, customize this silicone wristband with a laser engraved imprint of your message to help promote your brand or cause! One color screened imprint on bracelets surface. Hand out this two color laser engraved bracelet at your upcoming fundraiser or charity event to help support your cause! One size fits most. 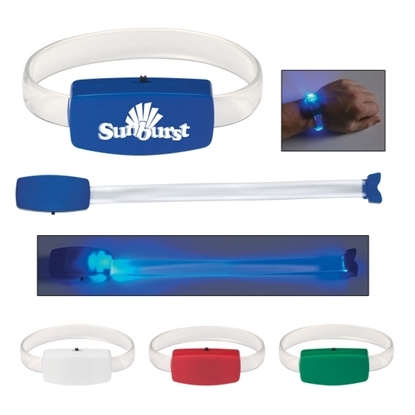 Available in many different color combinations, customize this 8" silicone wristband with a laser engraved imprint of your message for brand awareness. The outer color coating will wear off in time with normal use. Perspiration, lotions, excessive hand washing and the like will all hasten the process. This is a normal feature of this product and not considered a defect. 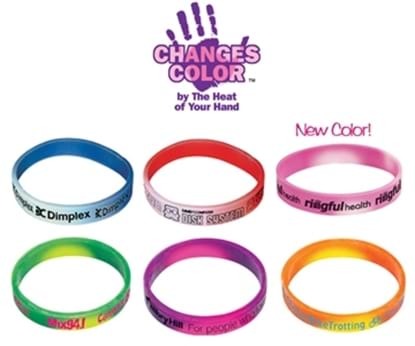 Promote your cause with this 1" silicone bracelet! Available in many different color combinations, your laser engraved imprint will show up as the inside color. The outer color coating will wear off in time with normal use. Perspiration, lotions, excessive hand washing and the like will all hasten the process. This is a normal feature of this product and not considered a defect. Please note, less than minimum orders are not available. 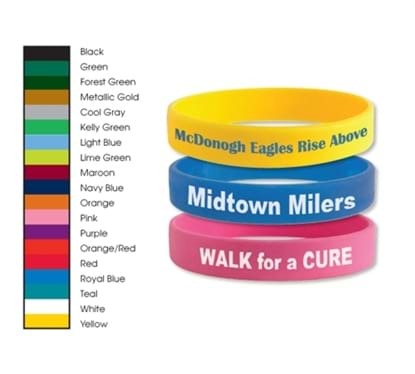 Select this handy wristband for your upcoming fundraiser or charity event! Made Of Neoprene With Polyester. 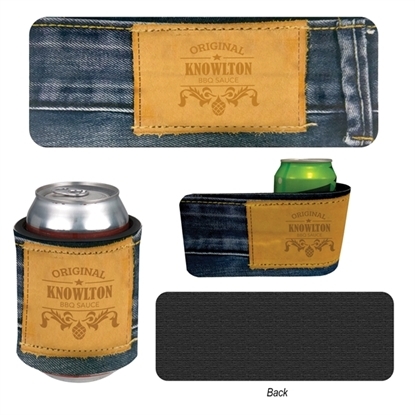 Perfect For Cans, Bottles, Glasses, Wrists And More. Large Imprint Area. Folds Flat For Pocket Or Purse Storage. 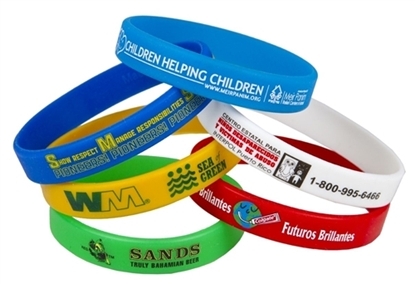 Mypromotionalpens.com offers the largest and best priced selection in Promotional Bracelets. We will price compete and we won't be under sold. Let our graphic designers make your personalized Bracelets standout above the crowd at no charge. We won't stop until you are completely satisfied with your custom Bracelets art proof.Use category search filters on your left to help narrow your search to find exactly what you are looking for.